The City of Benson has three public park facilities,Lions Park, Apache Park> and Union Street Park provide residents with a variety of leisure opportunities. Amenities in Lions Park include sports fields with lights, basketball courts, horseshoes, volleyball, skate park, walking trails, Picnic Tables Lions Park ramadas, grills, playgrounds and four restrooms. Apache Park was donated to the City in 1949 by what is now known as Apache Nitrogen Products, Inc., and is located in the Apache Park Historical District. Union Street Park located next to the City's Public Pool and Community Center includes two small ramadas, grills and plenty of room for the kids to run and play. A brand new 18-hole, 7400 yard, championship course, called "The San Pedro Golf Course" opened in Benson located on the banks of the San Pedro River. The golf course stretches out to 7313 yards from the tips and there are five sets of tees to accommodate golfers of all skill levels. The golf course also features the Ironwood Grill and a Pro Golf Shop. Benson Senior Nutritional Center is located at 705 W. Union Street and Coordinated by Catholic Community Services. The Senior citizens center is open from Monday –Friday until 9-5 for persons age 60 and over provides educational seminars, socialization programs and recreational activities for members. Call 586-9775 for more information. The local Arts and History Museum islocated at180 S. San Pedro Street, containing displays of settlers and early cultures. The museum's gift shop stocks the work of local artists and craftspeople, including ceramic pieces and paintings. It is open Thursday through Saturday or call ahead at 586-3070. 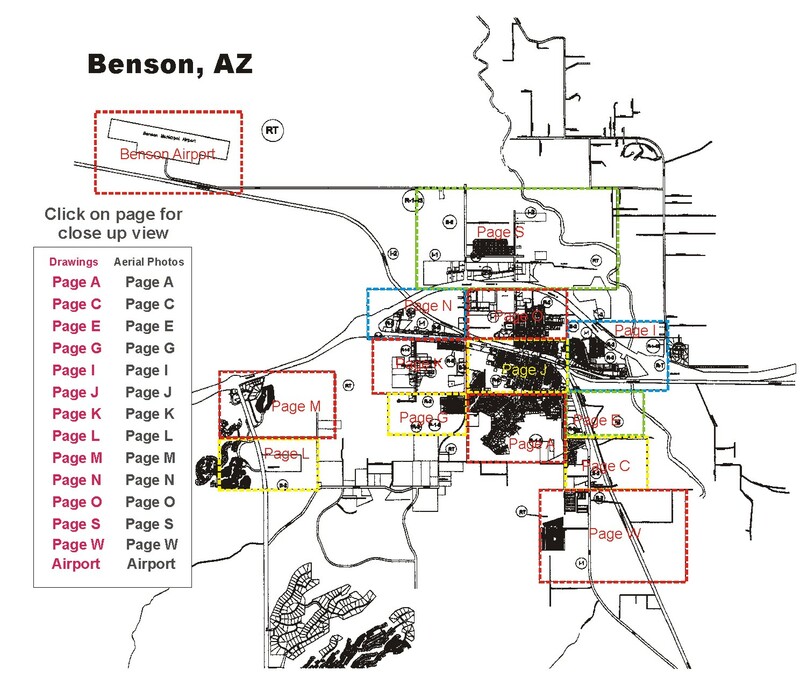 Benson's Municipal Airport was named "2000 Airport of the Year" by the Arizona Department of Transportation's Aeronautics Division! The airport was in the planning stages since 1989 and finally came to life in December 1999. The airport is physically located 2 miles north of the SR90 / I-10 interchange, but the access road is located one mile north of I-10. Take exit 304 (Ocotillo Road) from I-10 and go north to Aviation Drive. Southwestern Aviation (520-586-3262)has courtesy cars available for pilots who fly in. Education: The City of Benson is currently served by several public and charter schools for all age groups. Benson Unified School District is located on 350 S. Patagoniawithstudents for high school, middle school and primary school levels. Benson Public Schools is a learning community that will effectively use our resources to provide a quality system of curriculum, instruction and assessment that ensures avenues of success for all students. Vision Unlimited Academy is located near Pomerene on 1275 E. Barney Lane. Visions Unlimited Academy, an Arizona Charter School, is a learning family instilling the desire for all individuals to reach their fullest potential. Grounded in integrity, excellence, and unlimited vision, the school community offers exceptional learning opportunities led by master teachers. Cochise College has a Benson Center on the State Route 90 just off I-10 at exit 302, with special emphasis on computer aided learning. 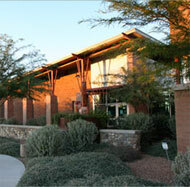 Cochise College was established in 1961 as the second community college in Arizona. The Benson Center is committed to serving citizens throughout the county for all educational needs. The neighboring communities of St. David and Pomerene also offer K-12 education, respectively. Medical: The community is serviced by the Benson Hospital, which is a 22-bed facility with a 24-hour emergency service. Benson employs both has resident doctors and dentists with additional physicians/specialists visiting the hospital at various times during the month. Benson also services a nursing home, Quiburi Mission Samaritan Center, found on 850 S US Hwy 80 and regional psychiatric health care facilities. Financial: There are two banks and two credit unions in Benson.